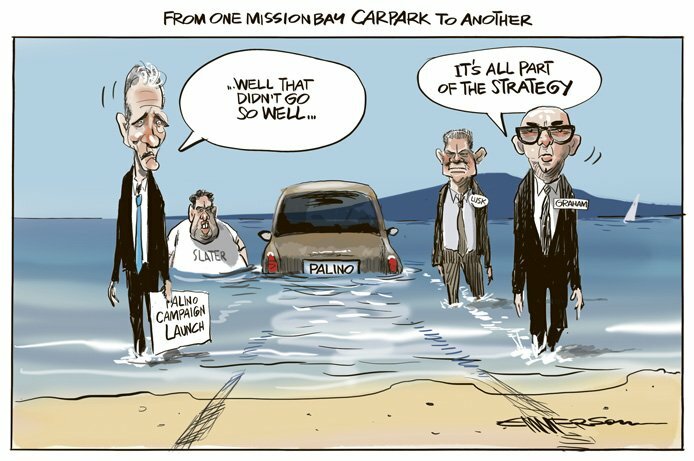 Amusing that after this John Palino (a) thought he might stand for Auckland mayor again, (b) thought he would be able to brush off the unanswered questions about the last election, (c) is apparently working with the Dirty Politics gang of smear artists. Rod Emmerson sees the funny side too. Left to right: John Palino, Cameron Slater, Simon Lusk, Carrick Graham. If there’s some Simon Lusk-esque ‘humiliation’ going on, so far it’s John Palino who is wearing it. Oh dear.